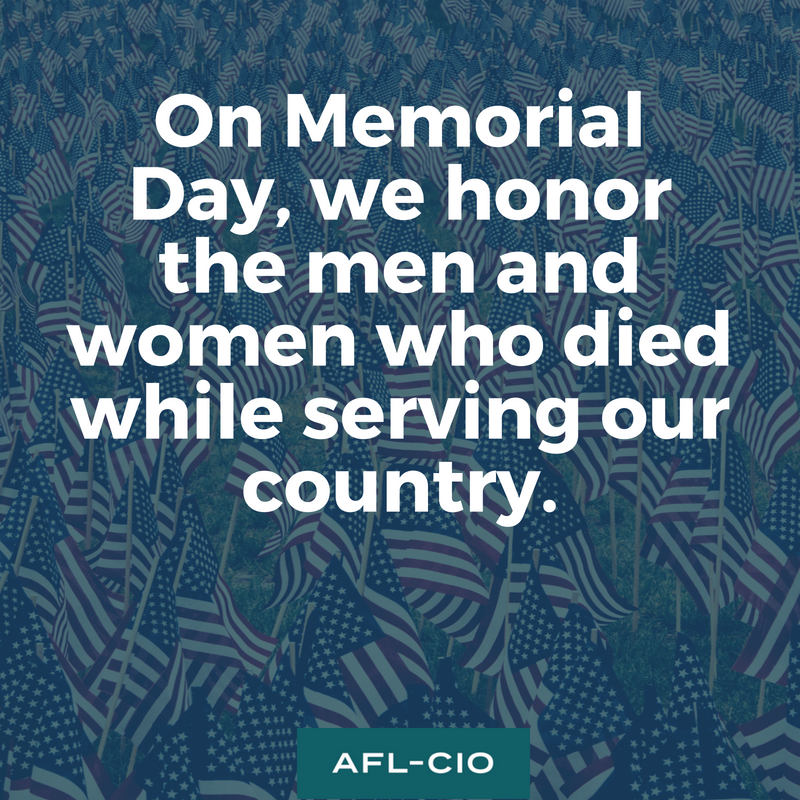 Unions of working people in Central Labor Councils across North Carolina endorsed 52 local, state, and federal candidates with primary elections in May and helped propel 35 of those candidates to victory and a spot on the general election ballot in November, including big wins in 3 congressional districts. Read more. On May 16th, tens of thousands of teachers, staff, parents, and students marched on Raleigh to pressure state lawmakers to provide funding for the schools North Carolina students deserve, and North Carolina’s labor federation was there to lend a hand — delivering food in advance for Wake County students, raising money to bus folks to Raleigh, keeping marchers happy and hydrated, and adding our voice of support for the largest collective action taken by North Carolina public employees in recent history. Read more. 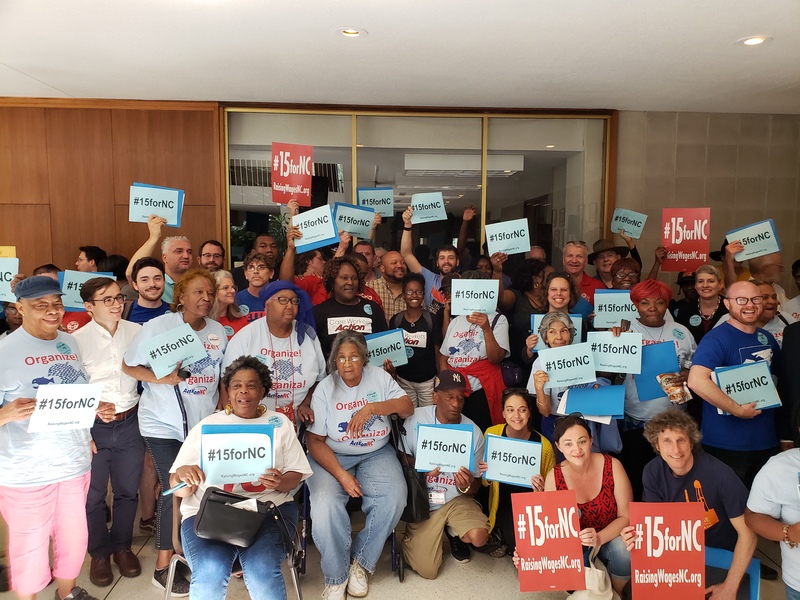 On May 22nd, the Raising Wages NC coalition — a growing campaign of legislators, workers, advocates, businesses, and faith leaders — urged passage of legislation to raise the state’s minimum wage from $7.25 an hour to $12 an hour by 2020 and $15 an hour by 2022. Raising the minimum wage is good for businesses, good for workers, and good for the economy, advocates, workers, and lawmakers said. Read more. Watch our broadcast of the #15forNC press conference. Elected officials and candidates will join a town hall meeting on Thursday, June 14th with people who work in fast food, public services, home care, childcare, and higher education to highlight the need to make it easier for working people to join together in unions in North Carolina in order to raise wages and create thriving communities. Read more. While we’ll continue to accept registrations after the deadline and will try to accommodate everyone, only the first 80 students registered will be guaranteed seats by the order in which they’re registered – so don’t wait! The pre-registration deadline for guaranteed seats is Friday, June 1, 2018. Read more. President Trump is attempting to silence the voice of veterans, law enforcement officers, and other frontline federal workers through a series of executive orders intended to strip federal employees of their decades-old right to representation at the worksite. 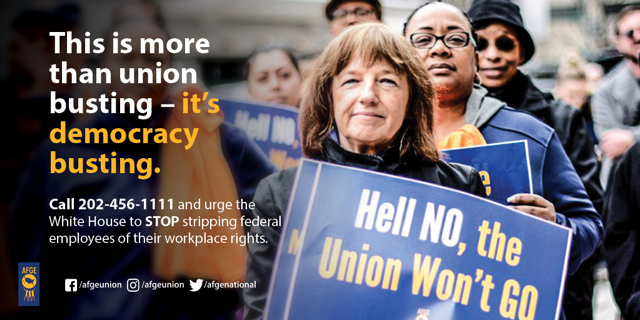 Call 202-456-1111 and urge the White House to stop silencing the voices of working people.